This is The Digital Story Podcast #655, Oct. 2, 2018. Today's theme is "My Top 5 Photokina Picks." I'm Derrick Story. Photokina is the largest photography show that I've ever personally attended. And once again, it didn't disappoint in terms of major announcements. There was gear that dazzled me while other news well, just puzzled me. This week I'm going to talk about those products that turned my head. In large part because of the mirrorless movement, we're in a great cycle right now. And I think this year's show in Cologne reflected that excitement. Here are the things that I'm hoping come to market sooner than later. The Panasonic Lumix S1R - It's huge, like DSLR huge, but this product of the Panasonic / Leica / Sigma L-mount partnership provides an interesting full frame alternative to Sony, Canon, and Nikon. The Fujifilm GFX 50R - A relatively compact medium format rangefinder for $4,500. It seems that Fujifilm has gone this route rather than compete in the full frame space. Time will tell on the wisdom of that decision. 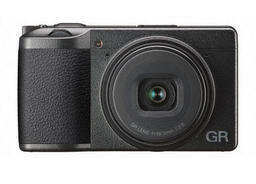 The Ricoh GR III - A compact classic with an APS-C sensor gets a feature update. New goodies include a new 24MP sensor, touchscreen and image stabilization. The problem is, we don't know exactly when we will see it. Ricoh has announced its development, but no price or release date. The Sigma 56mm F1.4 DC DN lens for Sony E and Micro Four Thirds - On Micro Four Thirds, the lens will behave as being equivalent to a 112mm F2.8 lens on full frame. On Sony E mount, it will act as an 84mm F2.1 equivalent. Super Multi-Layer Coating, Weather-Sealed Construction, and Rounded 9-Blade Diaphragm. The lens will be part of Sigma's 'C' (for Contemporary) range of lenses which aim to strike a balance between quality and price. 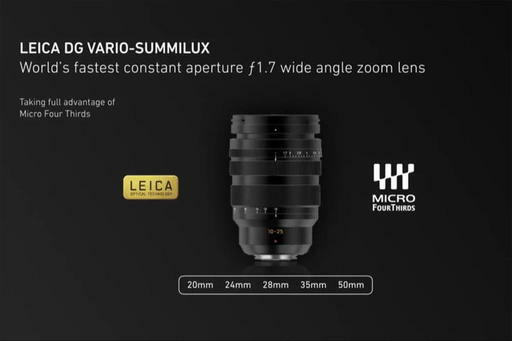 The Leica DG Vario-Summilux 10-25mm f/1.7 for Micro Four Thirds is the first lens that achieves a wide f/1.7 aperture through the full zoom range. The zoom will cover the 35mm equivalent of a 20mm, 24mm, 28mm, 35mm, and 50mm. It's not a compact optic, but wow. We closed out the 2018 workshop season high in the mountains with a spacious cabin as our headquarters. During the course of the event, there were many pearls of wisdom, and I thought I would share a few of them with you now. Dave learned- Lens hood on the front of the lens may not be enough. Use your hand or a hat to shade. I learned from Jeremy that I was using too long of exposures for my star photos. Kevin learned - You're never to old to desire a McLaren. When you're switching camera gear, it's really helpful to work with others who have it. (Kevin is learning Olympus gear.) For star shots, use Fluorescent WB preset to add blue to the stars. Susie learned - Never do a workshop with only seven men. I learned about the Photographer's Ephemeris so I know when to go out for a night shoot. I learned how to do pano merging in Lightroom with the resulting DNG. Jeremy learned - I'm over-dependent on technology. Take away WiFi and Cell service and I'm a gonner. Everyone sees things differently. I missed shots that others got right next to me, or they interpreted it differently. Fred learned - I for the first time have used a graduated ND filter that helped me control the light on one side of the scene or another. Earl learned - For Milky Way shots, duplicate the layer 3 times then use blend mode soft light to brighten the stars and intensify the color and image. Kirk learned - I learned how to pack being a nimble photographer by observing how the other guys packed - not too much, not too little. Plus, I really enjoyed hanging around the other guys. Inner Circle Members: Starting this month - Photo Critique. Check out the post on Patreon. Send your images to me with the subject line, "Photo Critique." More details on our Patreon page. 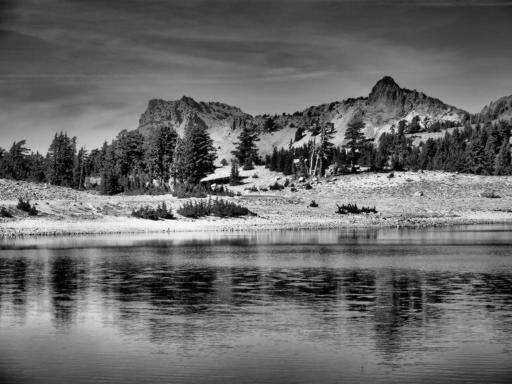 As we approached Day 1 of the TDS Photography Workshop, I was looking for the best way to tell the story of Lassen Volcanic National Park with my images. Remains of a Volcano - Olympus OM-D E-M1 with Olympus PRO 45mm f/1.2 lens. Photo by Derrick Story. I was impressed with the harsh, but beautiful environment created by centuries of eruptions by the four different types of volcanos in the area. But as we spent time there, I was also struck by the fortitude of the plants and animals that inhabited the area. 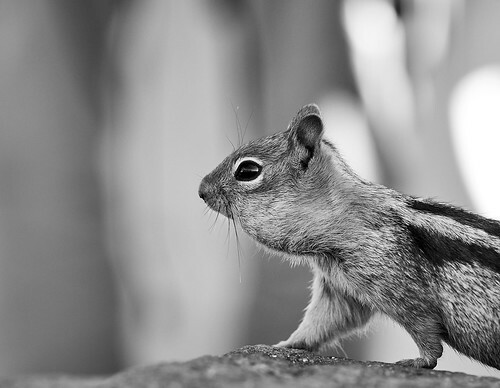 Chipmunk with Full Pouches - Olympus OM-D E-M1 Mark II with Olympus PRO 40-150mm zoom. Photo by Derrick Story. 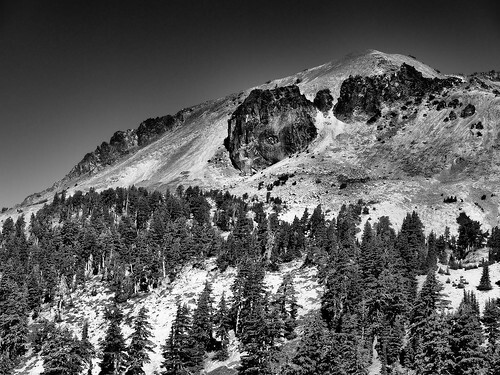 I decided that black & white was the best way to convey what I felt while standing there: stark, rugged beauty with no excess. 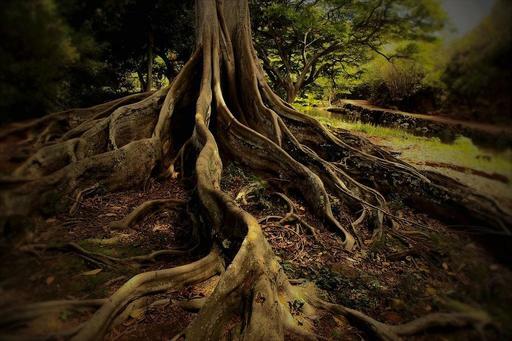 Nature had provided just enough resources for these trees, lakes, and creatures to survive. I wanted my images to feel the same way. Lake Helen - Olympus OM-D E-M1 Mark II with Olympus PRO 45mm f/1.2 lens. Photo by Derrick Story. I set my Olympus OM-D E-M1 to RAW+Jpeg (Superfine) and enabled the Dramatic Monochrome Art Filter. Even where reviewing the images on the LCD in bright sunlight, I could tell this was the look that I was hoping for: simple, clean, to the point. These pictures represent how I felt during the course of the day. 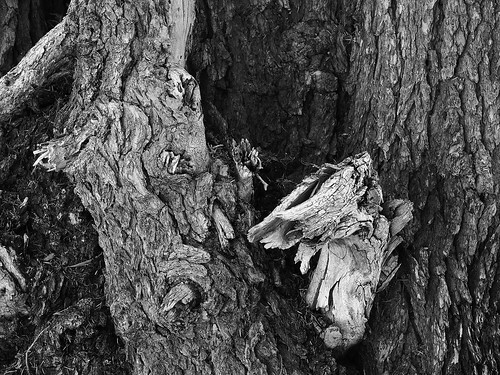 Wood Texture - Olympus OM-D E-M1 Mark II with Olympus PRO 45mm f/1.2 lens. Photo by Derrick Story. Tomorrow we're off to another location. We'll be in a completely different environment. And once again we'll try to find a way to tell the story. I'm heading north today for our workshop cabin at Lake Almanor, California. We're going to spend a day in Lassen National Park, then Burney Falls, with some pretty sweet side trips as well. I've packed my bag, and thought you might want a peek inside. I'm going with the Olympus OM-D E-M1 Mark II paired with the Panasonic Lumix G X Vario 12-35mm f/2.8 zoom lens. I'm in a mix and match mood for this trip, combining Olympus with Panasonic, Think Tank with Lowepro, and tossing in a dash of Fujifilm for seasoning. The long lens case contains the Olympus M.Zuiko Digital ED 40-150mm f/2.8 PRO lens. The two shorter Think Tank Lens Case Duo 5s are protecting my Olympus Digital ED 17mm f/1.2 PRO lens and the Olympus Digital ED 45mm f/1.2 PRO lens. I keep the 17mm in the green case and the 45mm in the black case so I know which one to grab without having to open it. 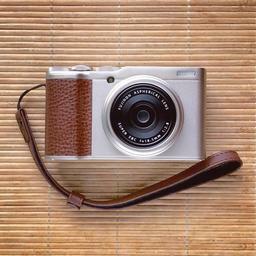 I'm also bringing the delightful Fujifilm XF10. It's great for quick shots, or when I have the telephoto on the E-M1 Mark II and don't want to change optics for a quick shot. All of this is housed in the Lowepro ProTactic 350 AW backpack, which is just the right size for these types of assignments. This is the same bag that I used successfully for my trip to Cuba. 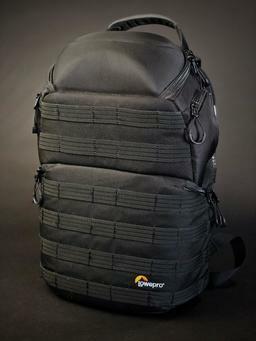 It's handsome, rugged, and holds just the right amount of gear. It also provides access from the top, and from both sides. I can easily get to both cameras and all three lenses without having to open the main back panel. I'll definitely want a tripod for Burney Falls, and I've packed a few filters as well. So this rig should provide me with all the tools I need, without slowing me down. It's been quite a day of pre-Photokina announcements. Lots of heavy artillery will be displayed in Cologne later this week. And there, standing among the trees, will be the svelt GR III. Many of us have been waiting to see the specs for this latest GR, especially those who are debating between it and the new Fujifilm XF10. Based on the Ricoh press release, there will be enough differences to make this an interesting decision. The GR III will feature image stabilization, which the XF10 does not have (both cameras using a 28mm f/2.8 fixed focal length lens). The XF10 has an intelligent flash built-in, while Ricoh opted for a hot shoe capable of accepting an external strobe. The Fujifilm uses both Bluetooth and WiFi, while the Ricoh is WiFi only. This probably means that it won't be as adept as the XF10 at geotagging images in real time. What they both have in common are large APS-C 24MP sensors, 3" million dot LCDs, and no electronic viewfinder. Price may be a difference, as well. The Fujifilm XF10 sells now for $499. That's competitive for a large sensor compact. Currently, the older Ricoh GR II costs more than that. So it will be interesting to see how the numbers add up when Ricoh releases their new model in the first quarter of 2019. One other major distinction between the two cameras... they look very different. Like I said, if you want a large sensor compact and are debating between these two, you'll have plenty to choose from. This is The Digital Story Podcast #654, Sept. 25, 2018. Today's theme is "Are You a Photography Dinosaur?." I'm Derrick Story. Photography is changing faster than many of its seasoned photographers. And even though this doesn't mean extinction for the ways of the past, it does signal that a certain amount of evolution is in order. You may think that I'm talking about film. No way! That's pre-dinosaur. I'm referring to the tried and true digital photography workflow that was once the standard. I'll explain more in today's TDS podcast. Are You a Photography Dinosaur? Before I get too deep here, let's take a quiz together to determine if you're a dinosaur photographer. Answer yes or no to the following questions. (1)Do you regard smartphones as real tools for meaningful photography? (2)Do you manage all of your images on a computer using a hard drive based DAM such as Lightroom Classic or Capture One Pro? (4)Do you even have an Instagram account? (5)Do you know what Snapchat is? (6)Is your primary method for sharing images via email attachments? (7)Do you use a tripod more than twice a year? (8)Are you a professional photographer or at least a regular freelancer? Answers: 1) No=1 Dinosaur bone 2) Yes=1 Dinosaur bone 3) No=1 Dinosaur bone 4) No=1 Dinosaur bone 5) No=1 Dinosaur bone 6) Yes=1 Dinosaur bone 7) Yes=1 Dinosaur bone 8) Yes= -3 Dinosaur bones. If you have four or more bones, you are a photography dinosaur. 2-3 bones means that you are in evolutionary phase. And 1 bone or zero means that you're either 17, or part of the new breed. So at this point you're probably expecting me to say that the species is doomed. But I don't think that at all. Smartphone and wearable photography will never completely replace workflow based work. But the popularity of those tools depends on rate of change those companies can embrace. For example, interchangeable lens cameras need to evolve substantially to provide a meaningful alternative to computational photography. The software workflow must get easier and more mobile. We will always have workflow based digital photography, just like we still have film and the cameras that use it. But tools and techniques that don't evolve become niche products. In the photography jungle, dinosaurs can survive. But they will no longer rule the planet the way they once did. And by not experimenting with newer tools and techniques, they are also missing out on some real fun. Have you visited our TDS Facebook Page in the last few days? If you, what do you think of the beautiful image by Kenneth Cole as the featured banner? Maybe yours will be next. Each week for the month of September, I'm going to feature a PortfolioBox Pro image as the banner for our TDS Facebook Page. I will select the image from my list of TDS PortfolioBox Pro users, and include the photographer's name and link. My images look great, both on my computer and on my mobile devices. It's easy to use. Without any instruction, I'm adding a high quality page in just minutes. It's affordable. There's a free plan and a Pro version. The Pro version is only $82.80 per year or $8.90 per month USD, and that's before the 20 percent TDS discount. In addition to unlimited pages, you get a personalized domain name, web hosting, and up to 1,000 images. Just go to the TDS Landing Page to get started with your free account, or to receive the 20 percent discount on the Pro version. And if you want to see the page that I've begun, visit www.derrickstoryphotography.com. If you are envious of the computational photography goodies in the new iPhone XS, but want to stick with your existing iPhone 8 or iPhone X handset, take a look at Focos. It can provide much of the same functionality, for free. An essential tool for iPhone 7 Plus, iPhone 8 Plus and iPhone X (dual lens devices). There's much you can do with the free version. But if you want to unlock all of the cool features, you can do so for $10.99 one time fee or $6.99 a year for a subscription. My latest printing project is creating a set of 6 fine art greeting cards from my trip to New York. Inner Circle members, not only can you help me choose the final images, but by doing so, you become eligible to win a free set of the cards. Starting last week, I published two images on our Inner Circle site. Post a comment as to which one you prefer best, and you are automatically entered in the drawing. We'll do this once a week throughout September. At the end of each week, I'll randomly choose a name from the comments and send them a completed set of fine art cards once they are finished. This week's winner is: Bim Paras. If you want to participate, you can become a member of our Inner Circle by clicking on this link or by clicking on the Patreon tile that's on every page of The Digital Story. Inner Circle Members: Starting in October - Photo Critique. Check out the post on Patreon. Send your images to me with the subject line, "Photo Critique." More details on our Patreon page. Apple fixed one of my most frustrating nits with importing images from a camera card to my iPhone: those tiny thumbnails. Tiny thumbnails on an iPhone. In previous versions, it was difficult to tell which shots I wanted, and those I did not, because I had to make decisions based on thumbnails too small to tell. Now, I can pinch-zoom on any of the images to unlock a bigger view to make it easier to decide which ones I want, and those that I don't. Relief! Bigger views of my images. This improvement has made it far more fun to bring in images from my mirrorless cameras, then incorporate them into my Photos workflow. I'm still learning iOS 12. But at the moment, this is my favorite photo improvement. Updated for macOS High Sierra, the The Apple Photos Book for Photographers, 2nd Ed. provides you with the latest tips, techniques, and workflows for Apple's photo management and editing application. Get your copy today! Updated for 2018 - "Learn How to Photograph High School Senior Portraits"
Capturing great images of high school students is one of my favorite assignments. I've learned a lot over the years, and I've poured as much of that knowledge as possible into my newly revised, Learn How to Photograph High School Senior Portraits 2018 on LinkedIn Learning. For this new release, I've kept the interesting live action sequences with actual high school seniors, including shooting sessions and discussion about what they are looking for in a portrait session. Then, I added movies showing how to use Lightroom, Capture One Pro, and Photos for macOS to sort, edit, and share the best pictures from the session. 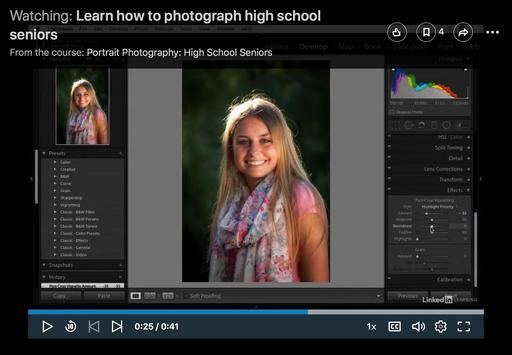 This title reflects the best of both worlds: understanding how to capture great images of teens combined with using the current software tools available to us. Here's a peek at the movie trailer. If you've been tasked with photographing a high school student in your family, or if you're interested in adding this type of assignment to your freelance work, then I encourage you to watch Learn How to Photograph High School Senior Portraits on LinkedIn Learning. I recently discovered the Think Tank Duo 5 ($20.75). And it's since become my preferred storage and travel companion for the Olympus 12-40mm f/2.8, 17mm, 25mm, and 45mm f/1.2 PRO lenses. They fit perfectly inside this case. The Think Tank Lens Case Duo 5 with Olympus 17mm f/1.2 PRO lens. Olympus 17mm f/1.2 with lens cap and hood inside the Lens Duo 5 case. But there's more to this case than dueling zippers. 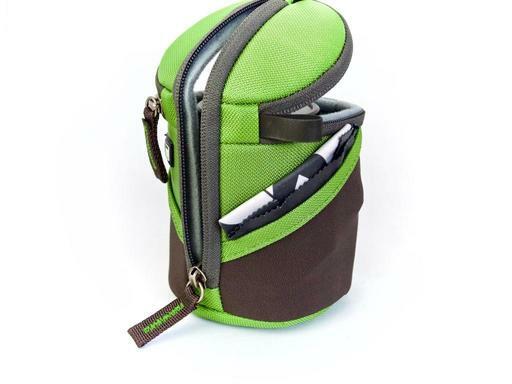 The well-padded, softly-lined pouch material, handy belt loop, and two outer stretchy pockets are all nice touches. 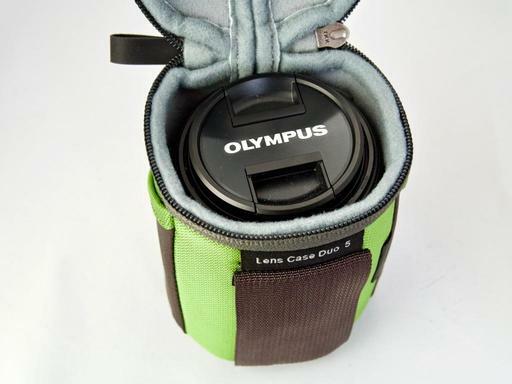 You can use one outer pocket for a microfiber cloth and the other to stash the lens cap when the optic is in use. The Think Tank lens case Duo 5 with microfiber cloth. 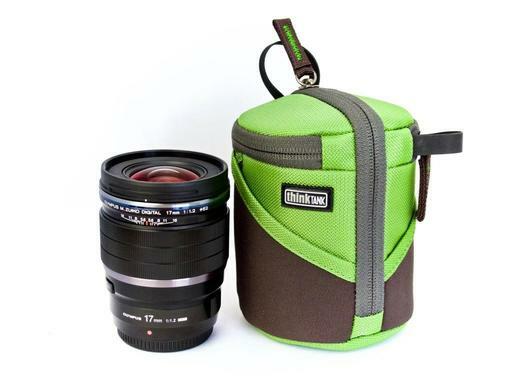 The Lens Duo 5 is a reasonable $20.75 and comes in two colors, black and green. I think the green is really attractive. The Duo 5 holds a Canon/Nikon 18-55mm f/3.5-5.6, Canon 10-18mm f/4.5-5.6, Canon/Nikon 50mm f/1.4, Nikon 55-200mm f/4-5.6 AF-S, Olympus 12-40mm f/2.8, 40-150mm f/4-5.6, and the trio of f/1.2 PRO lenses. And there are five other Duo models as well, allowing you to stylishly transport practically any optic in your collection. 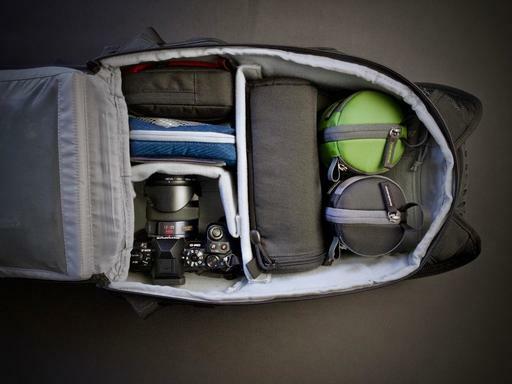 Most of us don't think as much about lens pouches as we do about the bags they go in. The Lens Case Duo 5 just might change that. This is The Digital Story Podcast #653, Sept. 18, 2018. Today's theme is "iPhone XS: It's Nice, But I Don't Need It." I'm Derrick Story. Last Wednesday during the Apple event, I pulled the iPhone X out of my front pocket, examined the screen and camera lens, and said to myself, "I'm good." The device is doing exactly what I need it to do: take good pictures, help manage my life, and provide a little entertainment. And other than a few minor tweaks, the iPhone XS does the same thing. Am I missing something by not upgrading? We'll explore further on today's show. After 10 months of very enjoyable use, my iPhone X still has 216 GBs of free space. The battery life is excellent, lasting me a full day when needed. (I don't charge it all night anymore, only as needed during the day.) And other than its one weird quirk of taking screenshots when I don't intend to (opposite button syndrome), I truly enjoy using it. But to be empirical as well, I looked up the specs and comparisons for the just-announced iPhone XS to evaluate my opinion. Here are the highlights. Size and Weight: They are virtually the same. Screen type and resolution: same. But the XS has better dynamic range. Camera resolution: same (12MP/7MP) - But the XS has a new sensor with bigger photo sites. New computational photography offerings on the XS, such as Smart HDR, enhanced bokeh effect, and depth control. SIM support: XS has eSIM to share work/home or home/roaming numbers in a single device. The X does not. Gold case offering for XS. So, since my iPhone X is in such good shape and performing well, I'm good. Plus, I kind of like having the 10 year anniversary handset. If I had an older iPhone, I would indeed be tempted by the iPhone XS. Have you visited our TDS Facebook Page in the last few days? If so, what do you think of the beautiful image from Morocco by Jay Tuttle as the featured banner? Maybe yours will be next? I was up and running immediately with it. The learning curve is about 5 minutes. And for audio processing software, it's affordable. 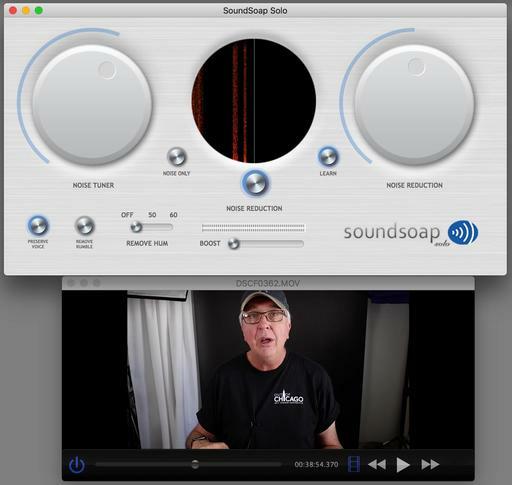 There are different versions of the app, but I'm using SoundSoap Solo 5 (Mac and Windows) that costs $79. You can purchase it from their website. I downloaded mine from the Mac App Store because it's a more convenient way to manage my software. The bottom line is that for fast-moving video projects where you want the best sound possible, SoundSoap is an essential component of the workflow. It's fast, affordable, easy to use, and works great. Starting last week, I published two images on our Inner Circle site. Post a comment as to which one you prefer best, and you are automatically entered in the drawing. We'll do this once a week throughout September. At the end of each week, I'll randomly choose a name from the comments and send them a completed set of fine art cards once they are finished. This week's winner is: Bill Riski. There are many quick-turnaround video projects that I don't want to run through Final Cut Pro X for the sake of speed. But I still want the best audio possible. In those instances, I've turned to SoundSoap 5 to reduce unwanted noise. Here's why. The SoundSoap Solo 5 Interface. I've been assembling a super nimble video blogging rig that I can carry around in my pocket. I plan on using this to cover PhotoPlus in October and beyond. At the moment, I'm testing the Fujifilm XF10 (9 ounces, 24MP, APS-C sensor, $499) with an Audio-Technica Consumer ATR3350iS Omnidirectional Condenser Lavalier Microphone ($29). I'll record short vlogs with this rig, run it through SoundSoap, then publish on Vimeo. Here's a sample. SoundSoap is key to this workflow. The lavaliere mic plugged into the Fujifilm XF10 really improves the audio compared to its onboard mics. That being said, camera audio interfaces tend to be noisy, and the output still needs processing afterward. On bigger projects, I use Final Cut Pro X to clean up the audio. But I want to move faster than that for vlogging. SoundSoap allows me to reduce noise and enhance my voice quickly, then upload the file to Vimeo for publishing. Here are some of its features.